Bivak Island in the Noordrivier (Lorentz River). 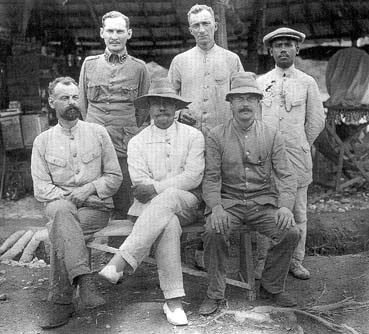 As a continuation of the former two South New Guinea expeditions in 1904 and 1909/1910 to the "Snow Mountain" Mount Carstensz (Mt. Trikora) Capt. A. Franssen Herderschee, A.A. Pulle, P.P. Hubrecht, G.M. Versteeg, J.H. 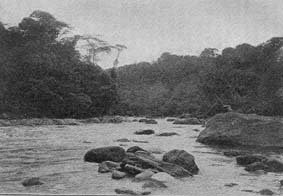 Sitanala and Lieutenant L.A. Snell organized a third South New Guinea Expedition. The aim was a scientific expedition to gather more information on the soil, people, flora and fauna of the south side of the Central Mountains above 2,300 meters. 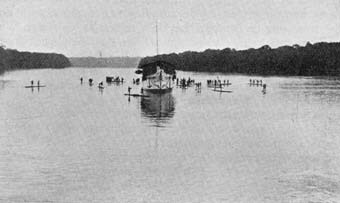 It took place between August 1912 till May 1913. 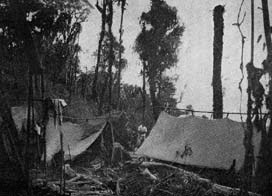 Finally, on 21st February 1913, they reached the top of Mount Wilhelmina (Mt. Trikora) at 4,700 meters. Bivakschip De Arend -Camp ship "The Eagle"
On this expedition plants and animals, among which insects, were collected. 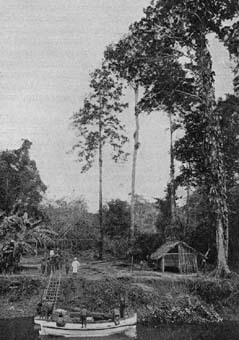 At the end of the expedition Papuas secretly took away the collection of bird skins, probably for ornamental use. The preserved insects are in RMNH and ZMAN. Pulle, A., 1913. Naar het Sneeuwgebergte van Nieuw-Guinea met de Derde Nederlandsche Expeditie. In: Van Reizen en Trekken, Mij. Voor Goede en Goedkoope Lectuur, Amsterdam. 205 pp.